Since moving to the state capitol of Texas as a teenager, Dallas native Jimmie Vaughan and Austin have become, in the minds of blues music fans, practically synonymous. He was at the center of that citiy’s fledgling blues movement from the very beginning. Since then both Austin and Vaughan have grown up, settled down and matured. 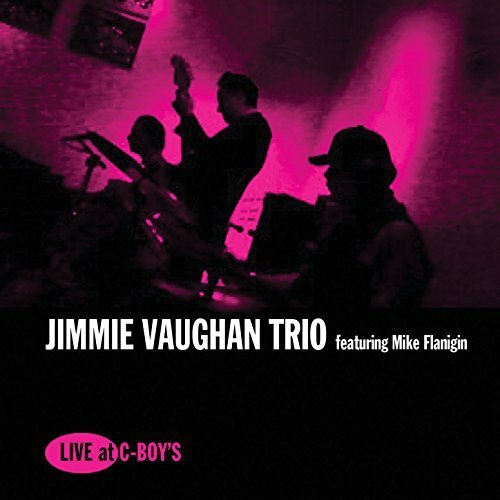 Jimmie Vaughan Trio featuring Mike Flanigin Live at C-Boy’s speaks to all of this. Like everywhere else, nightclubs that cater to blues music have come and gone in Austin, but Vaughan is still finding work at the latest iteration of the joint that bears the name of Clifford Antone and at the famed Continental Club Gallery on South Congress Avenue. It is on that same stretch of pavement where C-Boy’s Heart & Soul can be found and that nightclub is where the latest album by Jimmie Vaughan was recorded. The album in many ways represents Vaughan coming full circle. C-Boy’s began operation on New Year’s Eve in 2014 and is named after Louis Charles “C-Boy” Parks who managed the Rome Inn where Austin audiences first heard the mind-blowing blues guitar vocabulary of Vaughan and the great band he co-founded in the 1970's, The Fabulous Thunderbirds. The T-Birds actually paid tribute to Parks on their very first album, Girls Go Wild, with their slow blues instrumental C-Boy Blues. 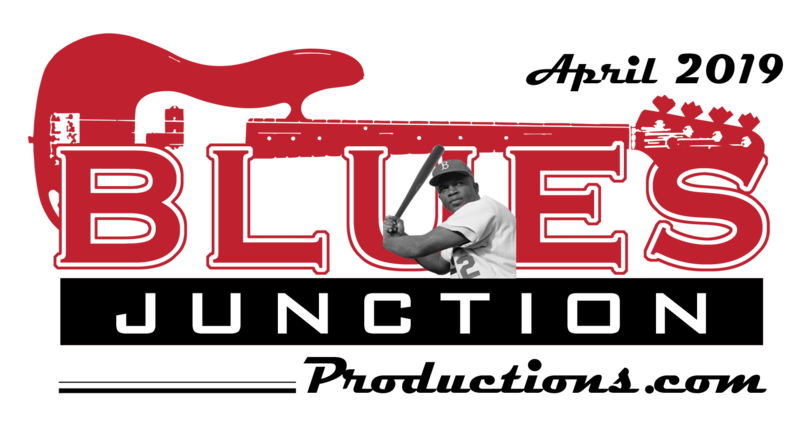 Steve Wertheimer, the owner of this relatively new blues nightclub, was a student at the University of Texas when he started out in the nightclub business working alongside C-Boy at the Rome Inn. Live at C-Boy’s gives listeners a real feel of a late-night club experience. The entire affair is imbued with the warmth of a cool night on the town in SoCo. Vaughan is actually a regular special guest with the B3 player Mike Flanigin and part of his trio which also included the legendary drummer Barry “Frosty” Smith, who passed away earlier this year. He has been playing in Austin with these two musicians for a few years now when he isn’t on the road with his own Tilt-A-Whirl band. These three give listeners a peek into an eight-song groove fest that reeks of low down blues with an uptown feel. Live at C-Boys reminds me of the live jazz albums that came out in the 1960’s where performers such as Cannonball Adderley, Wes Montgomery, Ramsey Lewis and others performed standards within their own genre and mixed in contemporary pop tunes and gave these familiar numbers jazz inflections based on their personal style. Vaughan, Flanigin and Smith do the same thing here by including, what in the 60’s was practically mandatory for performers of all stripes, an interpretation of at least one Beatles song. They mix in Lennon/McCartney’s Can’t Buy Me Love with a Junior Walker instrumental Cleo’s Mood from the Motown canon and put it next to blues standards like Saint James Infirmary and Smokey Smothers’ Come On Rock Little Girl. The vocals here are kept to a minimum, but the inclusion of Vaughan singing the Clarence “Gatemouth” Brown classic Dirty Work at the Crossroads is a welcome sorbet. He has been performing this tune live for years and it was only previously available on the vinyl release of his Blues, Ballads and Favorites which was recorded with his Tilt-A-Whirl band. Of course, the star of any recording which includes Jimmie Vaughan is the guitar. Here Vaughan shows off his own instantly recognizable style that by now has become one of the most revered and familiar commodities in the blues field. For years Vaughan was admired as a player who could emulate virtually any blues guitar style. He would find that most elusive of commodities and that is his own voice. Like his guitar heroes, Vaughan is now the one who has been emulated by an entirely new generation of guitar players. What they find in his music is a jazz sensibility which often pulls inspiration from the tenor sax giants from another era. He often places these ideas within the context of his own great rhythm & blues band and on the recordings of others. Now he puts these sounds together with a B3 trio and what should come as a surprise to no one, it is a perfect fit. Vaughan continues to appear as a guest artist on recordings by others. In 2017 alone he has lent his guitar playing to albums by eighteen-year-old Dylan Bishop and to seventy something Delbert McClinton, but an entire album of Vaughan playing mostly instrumentals with a great B3 player like Flanigin and a drummer of Frosty’s renown is a real treat. This album has been something that fans of Jimmie Vaughan have been looking forward to for some time and it doesn’t disappoint. The fact that it was decided to put out a live record was in my mind a brilliant move. Live at C-Boy’s really captures a moment in time and puts listeners in an atmospheric setting that is vintage cool and vintage Vaughan…which of course is the same thing.